A Macaron is a classic French treat enjoyed by people around the world. 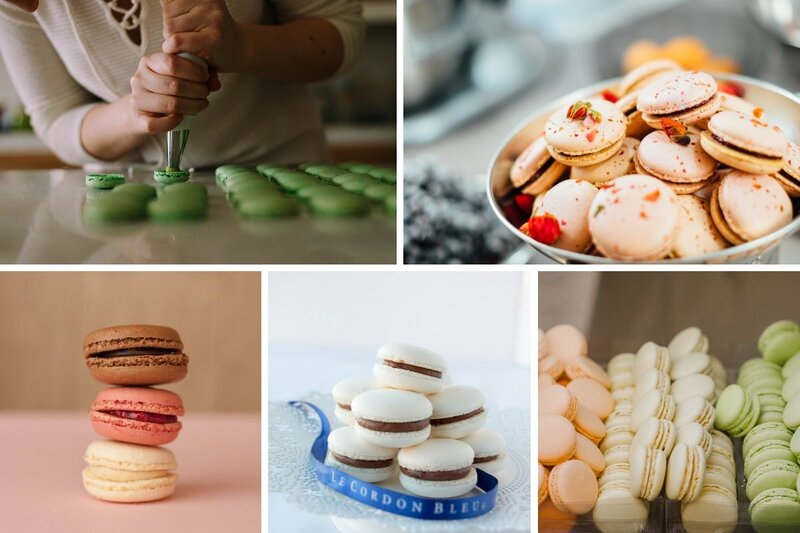 Our expert Pâtissier will guide you in the art of making perfect macaron shells with a range of decadent fillings. This hands-on course will introduce you to a festive range of colours, and delicious flavours and fillings. Take home a selection of macarons in mouth-watering flavours such as: Raspberry Rosewater, and Sicilian Tart (pistachio dacquoise, pistachio mousseline and fresh strawberries).